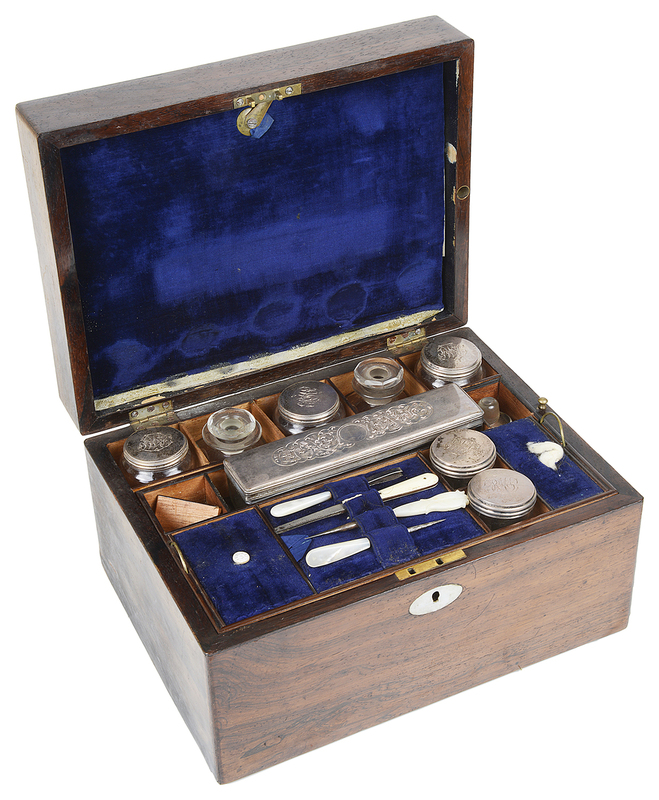 of rectangular form with mother of pearl oval escutcheon, the hinged lid opening to reveal a blue velvet lined interior concealing a mirror and letter holder, with a selection of glass and silver capped bottles, velvet covered compartments, with an exterior secret side jewellery drawer, a/f. 17 x 34 x 22.8cm approximately. 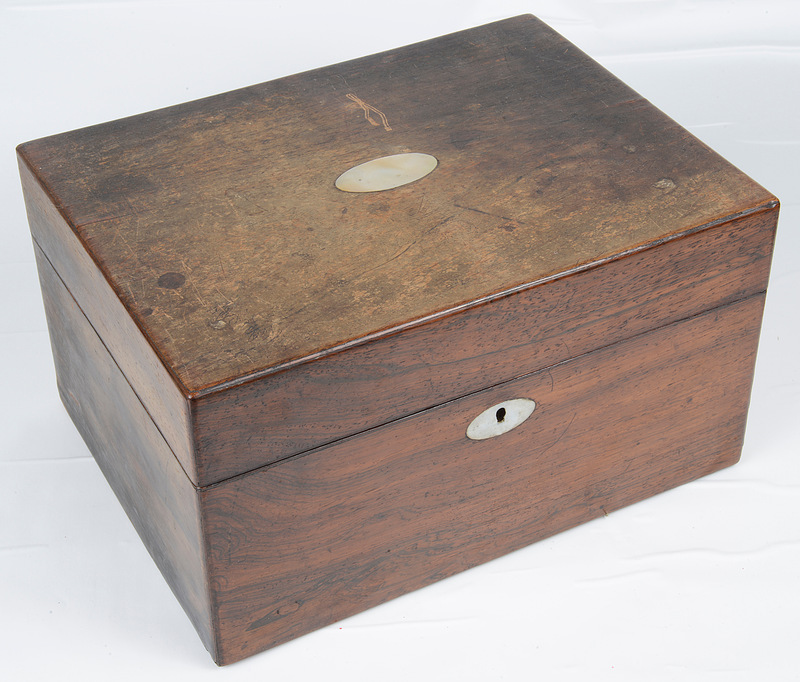 Condition: Fair, the exterior with water damage, chip and cracks to the back, the interior fair with wear to the velvet, compartments and bottles.